I'm pretty sure Springsteen has one. Jagger, too. And Jay-Z doesn't flip his pancakes with anything but the guitar flipper. 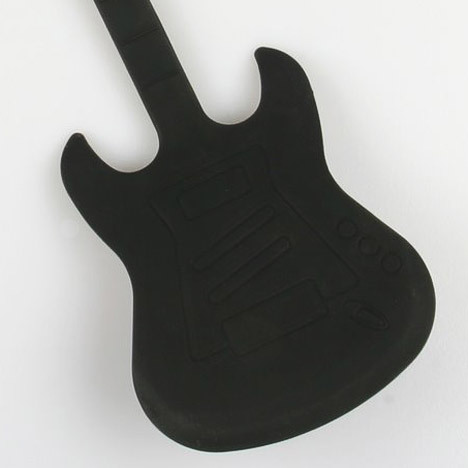 And, you know Elvis would have been proud to use this special spatula in the shape of a guitar when he fried up...well...everything. This guitar isn't just decorative. It is 100 percent silicone and tested up to temperatures of 500 degrees. You can even practice your air guitar between flips. 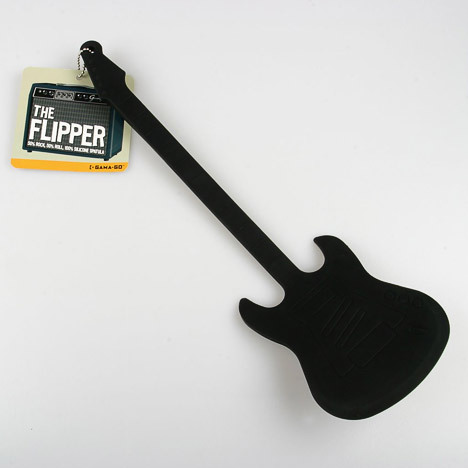 We lot to rock our breakfasts with the Flipper Guitar Spatula. It’s just a fun tool that’s both functional and attractive. 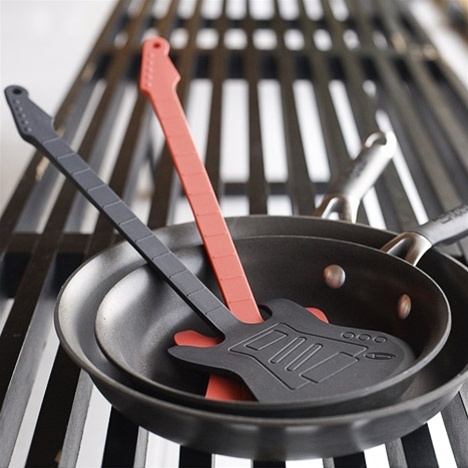 Our music loving friends can’t get enough of this egg flippin’ axe so we had to put it out there for other air guitar musicians with kitchens.